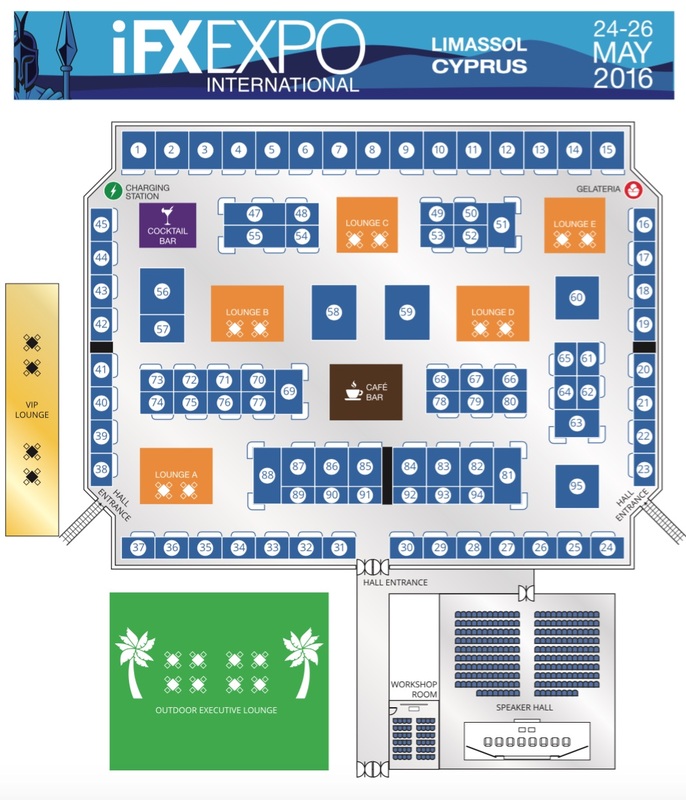 Mark the date, registration is now open for the iFX Expo International 2016 in Cyprus now at a new larger venue, to accommodate a growing audience, as announced today by the conference organizers. Like prior iFX expos, the flagship industry event caters to the foreign exchange space and related multi-asset ecosystems including CFDs and binary options, along with other financial products that the online trading industry is connected with, across an ever dynamic landscape. Moving from the location of last year’s event, this year’s iFX Expo International will take place from May 24th through to the 26th and will be hosted at the Palais des Sports – Spyros Kyprianou, an exquisite sports complex located in Limassol, Cyprus. 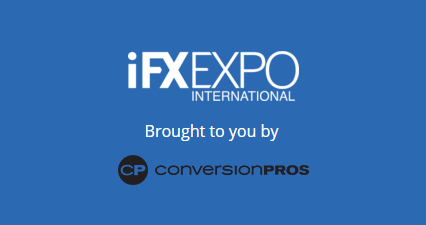 The iFX Expo International is operated by Conversion Pros, a specialized marketing agency based in Cyprus with extensive focus on the retail finance sector, which has continually refined the event each year to make it better and more rewarding for participants. The new modern venue is expected to unlock a multitude of benefits for those attending, as highlighted below, and registration is already open. Relationships are a key driver of sales, excluding online marketing where the interaction takes electronic form (also important). In face-to-face interactions a deal can be closed or lost, and it’s people that make the difference. The new venue accommodates over 6000 – as a modern complex catering to conventions and large sporting events – after the prior location in Cyprus had reached capacity as the event grew in recent years. The growth came from higher registrations of attendees, exhibitors, and sponsorships, and now in its fifth year running, this year’s iFX Expo is anticipated to be larger than ever following an equally successful event in Hong Kong last month. There are six hotels recommended on the iFX website for the Cyprus event that will be selling out fast to attendees locking in reservations . The additional space of the new convention-style center will provide a number of qualities to both exhibitors and attendees, beyond creating a more open atmosphere, there will be unique marketing opportunities for advertisers and sponsors to sport their flair and livery across multiple mediums. This growth in the number of people attending year-over-year reflects the importance of this unique industry gathering. Across 8 iFX Expos there have been more than 18,000 attendees, 240 speakers, 1,920 sessions, and 11 weeks of learning (almost 1900 hours). These combined totals create the benchmark which the organizers use to improve subsequent conferences. Attending companies and exhibitors often send large teams of people to attend and enough staff to handle all the interactions and the flurry of opportunities and information at the event. Planning the trip long in advance can help manage budget, logistics and marketing preparations in order to get the most out of participation, including post-event related communications and follow-ups. 20% of attendees are from the Americas, 35% from Europe, the Middle East and Africa, and the remaining 45% from Asia and Australia. The majority of attendees or 30.6% are from Generation X age groups at age 35-44, followed closely by millenials or Generation Y aged 25-34 at almost 28%, and then the 45-54 and 55-64 groups making up 19% and 12% respectively, as well as almost 5% for the 65+ group. At the other end of the distribution ages 18-24 make up 4%. 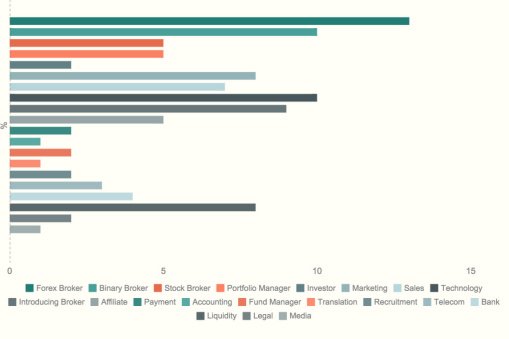 Other interesting stats include that nearly a third of attendees are female – a number that is on the rise – as talented women continue to join financial services and climb the corporate ladder. A large number of exhibitors include platform providers, technology providers, and payment providers, as well as liquidity providers, legal/regulatory related services providers, and last but not least sales and marketing providers. Different people attend for different reasons, irrespective of position/role, gender, age, and business model, but the common theme is to meet, see and hear what’s happening in the spaces that matter to them, and create lasting business relationships and contacts. In addition, there are sometimes known items or areas that a company wants to explore, and also unknowns that attendees gain exposure to – such as a newly launched technology or product or methods that companies often save to announce or demo during the event. That is the appeal of not knowing what to expect at iFX Expo events. Clearly a growing percentage of the industry is attending this event which provides a reliable place to interact in a professional setting, and with registration on ifxexpo.com available, the first step to securing your spot as an attendee should be to complete the form and sign up. Whether you have been to an iFX Expo before or it’s your first time, be prepared for a memorable event that will leave you with numerous advantages in your career, benefiting your company long after you return. People want to attend this event, apparently even more than before. For those who have attended before, it works, they are coming back and so should you. The 2016 venue provides for nearly 100 exhibitors, sponsorships and branding opportunities – giving prime space to advertise and increase brand awareness. I just looked at the ifxexpo website, and there are many slots filled, across the sponsorship and exhibitor layouts, including the new floorplan layout at the sports palace. From the range of exhibitors of industries across payments, fintech, banking, startups, platforms, regulation, and sales and marketing, to name just a few, the iFX Expo Cyprus remains dynamic and changing as highlighted througout this post. Finance Magnates covers the panels and workshop topics, bringing only the most up-to-date relevant topics and subjects that affect market participants. By bringing together unique and senior industry people to join in a common discussion, the focused awareness helps shed light on common challenges and areas of concern that need to be discussed or are on the top of people’s minds, whether agreed upon or controversial, and the panels provide a neutral medium. Conversely, workshops are specialized and product/company or process focused. Anyone that has attended more than one iFX Expo, like myself, knows that the events are always changing and dynamic, and provide attendees with fresh takeaways (besides the actual tchotchke’s that are given out – and that you can take away), and with knowledge that helps people and companies obtain an edge and deeper understanding of the business. 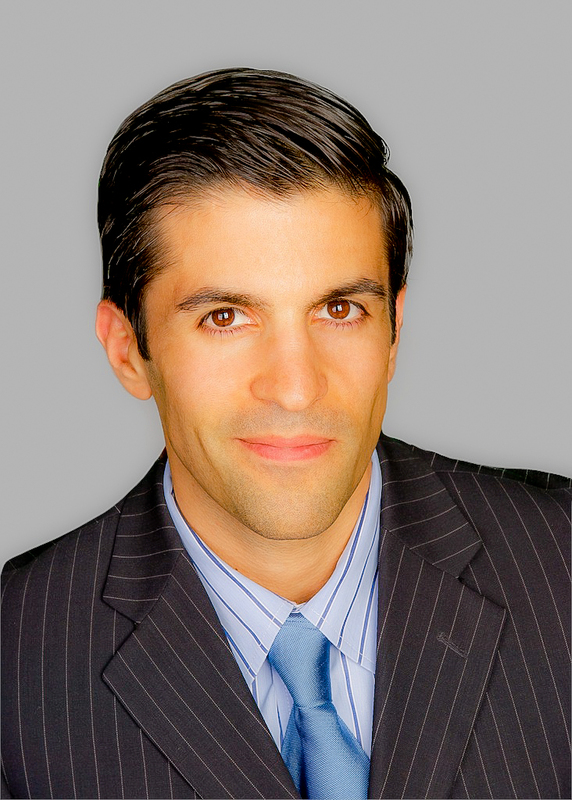 For example, iFX Expo attendees leave with renewed perspectives on key trends that affect their businesses – such as by reading news provided by Finance Magnates – and are able to establish new contacts with key industry people, as well as meeting with existing client and partners, all at the same time as keeping up to date with the many inter-related sides of the industry. As a co-organizer, exhibitor, and attendee of the iFX Expo International this year in Cyprus, Finance Magnates also looks forward to seeing you at the event as 2016 is starting off as a year to remember – so be sure to remember to register now.